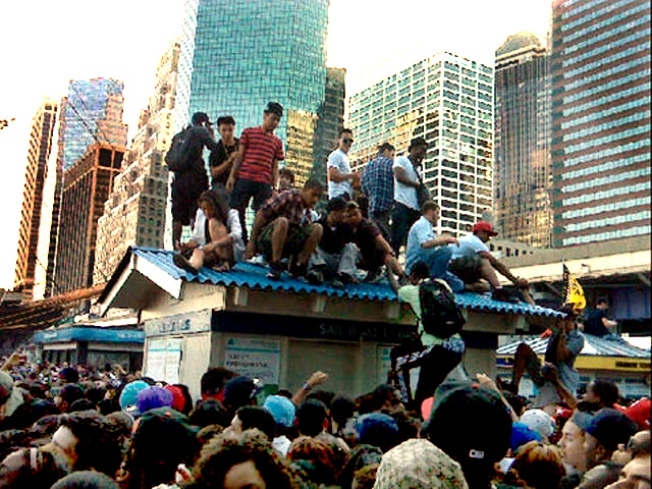 @hansonbrasil tweeted this pic of the action unfolding at the South Street Seaport before the free Drake/Hanson concert got canceled, much to the disappointment of the fans. The "Sounds Like Paper" summer concert series will go on, despite the fact that it ended in a riot at the South Street Seaport last week before any bands could get the show started. Performers like Ke$ha will take the stage this summer, just not at the Seaport, officials stated. "Paper Magazine and The South Street Seaport were excited about the prospect of providing free outdoor concerts from some of today's top-charting music artists. 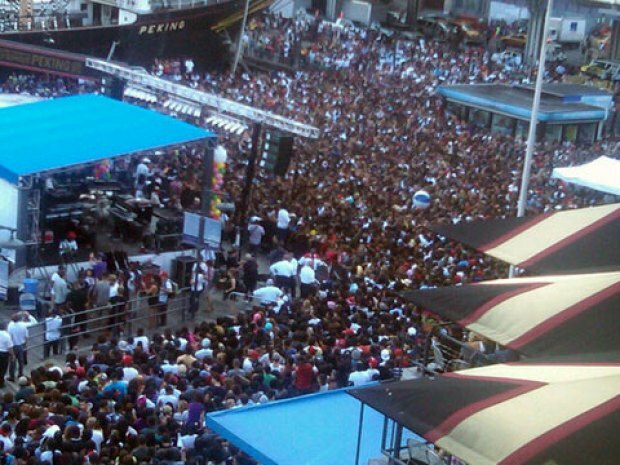 However, since it was demonstrated that the escalating popularity of the scheduled artists can result in crowds that exceed even the safe capacity of the Pier 17 concert stage, both Paper Magazine and The South Street Seaport have decided that the remaining events of the 'Sounds like Paper' concert series will be relocated," officials announced. "The separate and long-running events of the Seaport music festival will continue as scheduled without change." The new location of the event, however, has not yet been released.